If you recently decided to give Magic: The Gathering Arena a try, you may be wondering where to begin. One thing that’s nice about Magic: The Gathering Arena is that it plays exactly the same as the physical card game form of Magic: The Gathering. Learn to play Magic: The Gathering Arena, and you’ll have a decent grasp of MTG as a whole. Of course, there are things in Magic: The Gathering Arena that differ from standard MTG like how specific mechanics work. To help simplify the process, we’ve put together a beginner’s guide to playing Magic: The Gathering Arena! Familiarize yourself with the Home Screen of Magic: The Gathering Arena. Before you can begin learning Magic: The Gathering Arena, you’ll first need to download and install the game. To download Magic: The Gathering Arena, simply head over to the official website and click to download the client. Once it’s installed, you’ll be prompted to create a profile name and select your profile avatar. Customization out of the way, Magic: The Gathering Arena then opens with a tutorial that includes several different phases. By following this tutorial, you’ll learn the basics of how to play Magic: The Gathering. Pass the tutorial and you’ll be taken to the home screen. On the home screen, you can view your available Quests, and interact with tabs to view other aspects of the game. 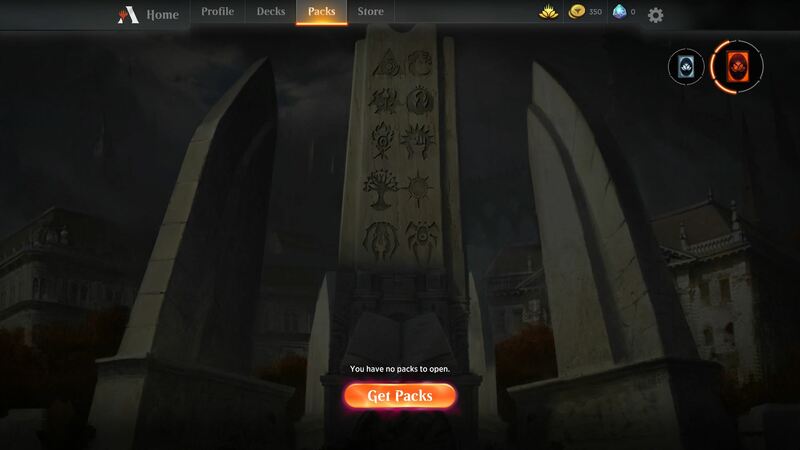 If you don't have any packs you can click "Get Packs" to purchase more in Magic: The Gathering Arena. For example, if you click “Packs” you’ll be able to view and open any card packs you have available. If you don’t have any packs, there’s a button at the bottom where you can “Get Packs.” To purchase packs in Magic: The Gathering Arena, you’ll need to exchange currency. There are two forms of currency in Magic: The Gathering Arena: Gold and Gems. Gold is the free form of currency in Magic: The Arena that you can earn by completing Quests, like winning in battle against another player. Meanwhile, Gems are a form of premium currency that can be bought using real money. Note that you don’t have to purchase Gems in order to get packs as it’s fairly easy to earn Gold each day, however it’s a nice option if you’re looking to immediately expand your decks with new cards. Speaking of decks, there’s a “Decks” tab you can interact with to view your available decks. Magic: The Gathering Arena gives you several starter decks to try out, one for each color. There are five main colors in Magic: The Gathering that include White, Black, Blue, Green, and Red. Meanwhile, you also have colorless options like Artifact cards. 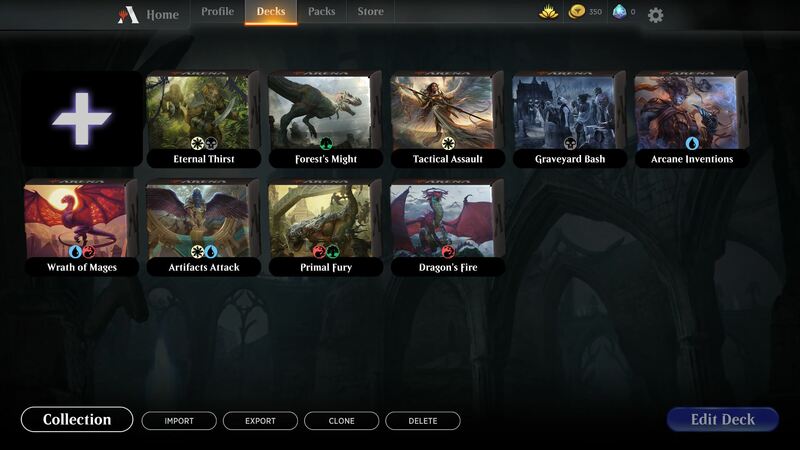 Select the "Decks" tab to view your inventory of available decks in Magic: The Gathering Arena. The starter decks you’re given in Magic: The Gathering Arena occupy each of these different colors. To figure out which one works best for you, you’ll want to battle other Magic: The Gathering Arena players using each of them. To battle with other players, head to the home screen. At the bottom right corner, there’s a large “Play” button that you can click on to face off against other players. The Gathering (for new players). For a visual overview of how to play Magic: The Gathering, check out this helpful tutorial video courtesy of the Magic: The Gathering YouTube channel. Once you’ve chosen your deck and successfully paired up with another player, the main game will begin. The first thing you’ll be asked is whether you want to keep the cards you have in your hand or “Mulligan” to shuffle a new hand. As the screen indicates, a good opening hand has multiple Land cards. If you have 2 Land or fewer, choosing to Mulligan may be a good option. When you’re happy with your hand, you can choose to keep it. If your opponent goes first, they’ll play a Land along with any card they can play with 1 Land, then your turn will begin. As you learned in the opening tutorial, drag and drop a Land card onto the field. Then, if you have anything you can play with 1 Land such as an enchantment like Ajani’s Welcome. Alternatively, if you don’t want to play anything just yet you can pass the turn back over to your opponent. Want to communicate with your opponent? Click your avatar at the bottom to open up speech prompts. Right now, there are only a few to choose from. If you want to talk to your opponent, you can select your avatar to open a list of dialogue options in Magic: The Gathering Arena. If your opponent is taking an excessively long time to play a card, you can select the “Your Go” option to prompt them. If your opponent surprises you with a play, you can select the “Nice!” option to compliment them. Another thing that’s nice about Magic: The Gathering Arena is that it’s very quick and intuitive. You don’t have to physically tap and untap your cards, you don’t need to keep a separate tally of your Life Points. Instead, the game tracks all of that for you. The more you play, the better you’ll get, and with Magic: The Gathering Arena, it’s easy to play multiple games in a day. Additionally, if the game is going really poorly and you simply can’t take it anymore, you can head to the Options menu by clicking the cog wheel at the top right corner. In this menu is an option to “Concede." By choosing to Concede, the game will end and victory will be awarded to your opponent. Aside from ending a game you feel you’re certain to lose, it’s also a good option if you’ve been called away from the computer and likely won’t return in time to finish your game. You can customize existing decks or build new ones in Magic: The Gathering Arena. When you’ve grown comfortable with the game, you can explore other options in Magic: The Gathering Arena like deck building and playing with your constructed decks in tournaments. To build a deck, head to the “Decks” tab and view your available decks. You can either double-click to modify a deck you already own, or click the + symbol to create a brand new deck. A deck in Magic: The Gathering Arena will typically consist of 60 cards with a third of those cards being Land cards. 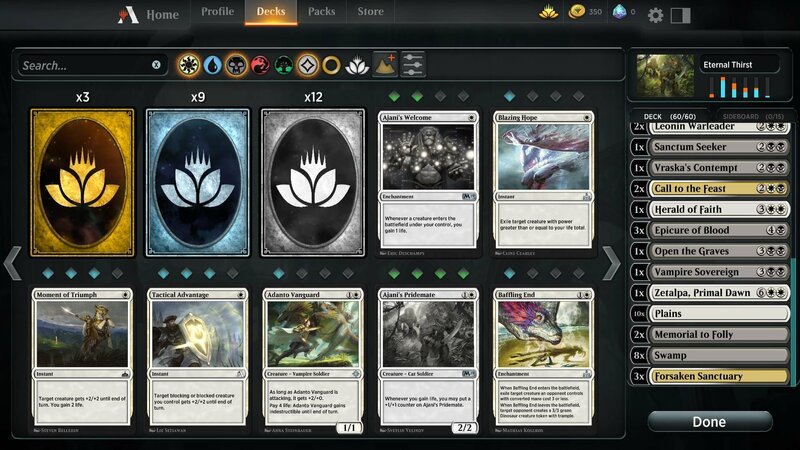 In the deckbuilding menu, you can view the cards in your deck by scrolling through the list on the right-hand side. To remove a card from your deck, click on it. To add a card to your deck, view the list of cards you have available on the left side and click the card you wish to add to your deck. Wildcards are cards of varying rarity that can be exchanged for any card in the game of the same rarity in Magic: The Gathering Arena. You can sort cards by color by clicking on their associated symbol up at the top. For example, click the skull to view Black cards. You can also search for specific cards if you know their name. Meanwhile, you may be wondering what Wildcards are. In Magic: The Gathering Arena, there are several different Wildcards, each representing a different rarity. With these Wildcards, you can exchange them for any card you like as long as that card has the same rarity as your Wildcard. For example, you can exchange a Mythic Wildcard for any Mythic card of your choice. To do this, there’s a symbol (seen in the image below) that you can click on to open up an Advanced Filters menu. To view and sort cards, click the sort option (circled in red) to open the Advanced Options menu in Magic: The Gathering Arena. Here, you can sort by color, mana cost, and rarity. Then, at the bottom, you can switch from “Collected” to “Not Collected.” If you have a Mythic Rare Wildcard and want to exchange it for a card you haven’t collected, select the color, then select “Mythic Rare” for rarity, and finally “Not Collected” before searching. Interact with the card you wish to get, and if you have the appropriate Wildcard, you’ll be asked whether or not you wish to exchange. Confirm, and you now have that card in your inventory of “Collected” cards to be added to decks, etc. You can also use Wildcards to duplicate cards in your existing deck. 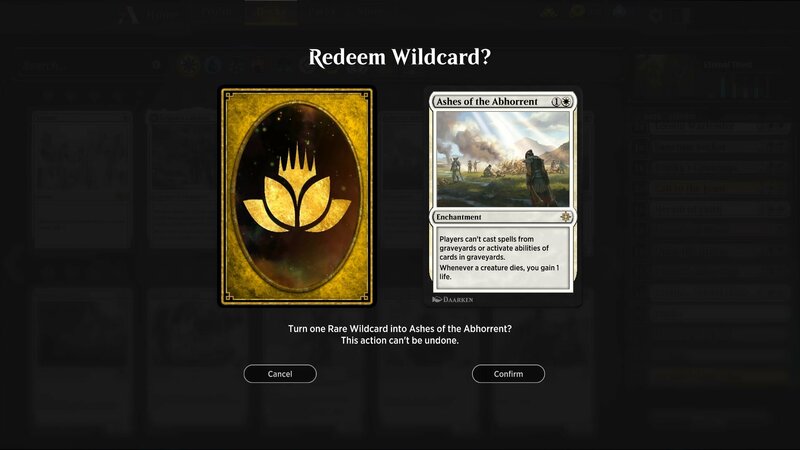 If you find a card you want, you can click on it to purchase it in exchange for a Wildcard in Magic: The Gathering Arena. 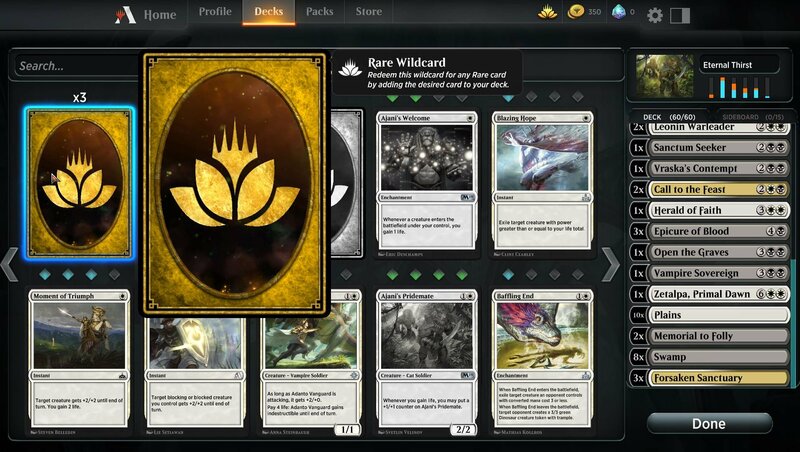 For example, if you have a Mythic card you really love in your current deck build and want to add one more of that card, you can select the Mythic card icon (which will be greyed out) and you’ll be given a prompt as to whether or not you wish to exchange a Mythic Wildcard for that card. Accept, and you’ll have a second version of that Mythic card to add to your deck. 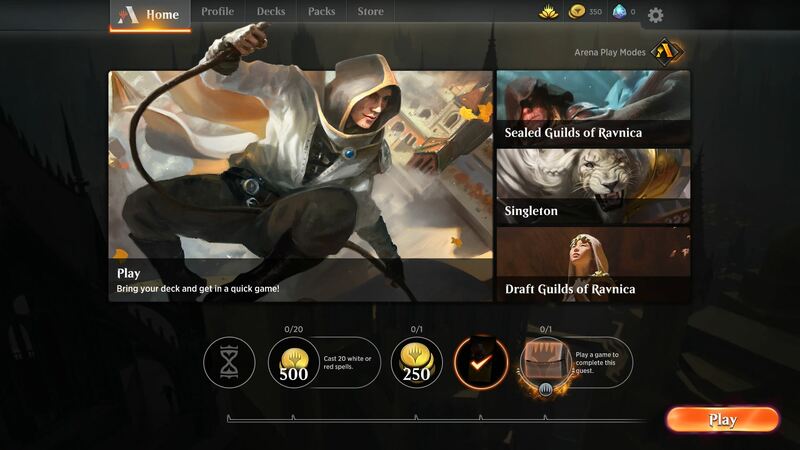 The information above covers the basics, but be sure to check back as we’ll be going over in-game strategy and deckbuilding in more depth here at AllGamers. In the meantime, what do you think of Magic: The Gathering Arena? 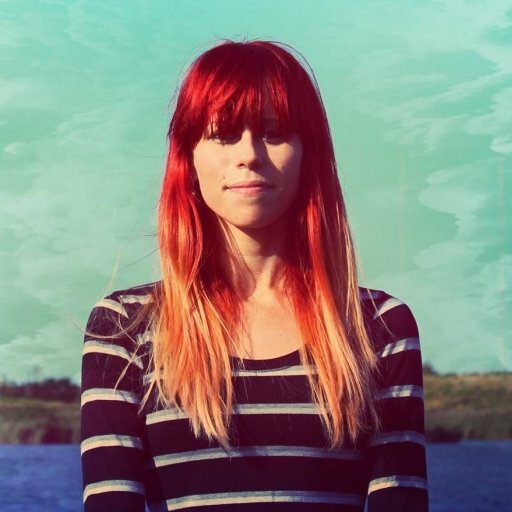 What are things you really want to learn? Let us know down in the comments below! 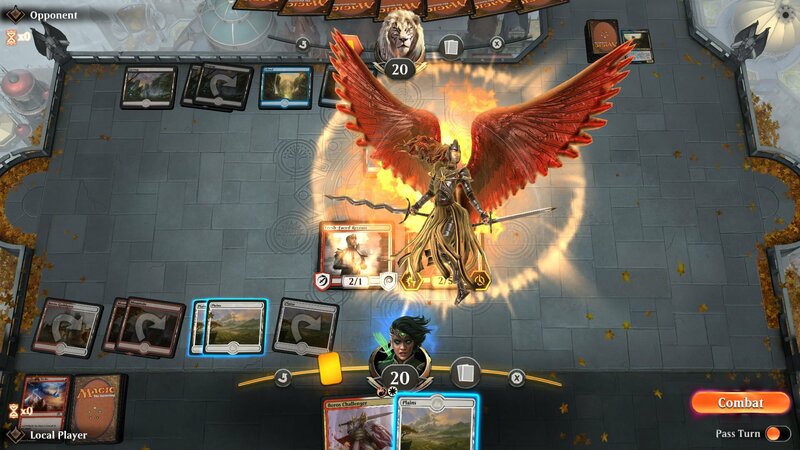 For more on Magic: The Gathering Arena, be sure to check out our full review of the game here!